This fresh-fragrance mask leaves even the most sensitive skin soft and supple. The creamy formula features decongesting agents, witch-hazel, licorice and amica, and Photonyl with anti-radical and soothing properties. Photonyl: An original complex protected by patents. Its constituents are based on natural cellular components and amino acids, derived from biotechnology. Photonyl is an energy dispersing agent; photoprotecting the active cells of the skins, especially the epidermal immune cells, the Langerhans cells and keratinocytes. This ingredient additionally protects against free radical destruction. Witch Hazel Extract: Known as hammamelis. A superior plant extract with may therapeutic benefits: an anti-inflammatory and wound-healing extract. 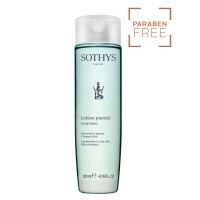 Upon first application it soothes and calms the skin. Arnica Extract: A plant extract reported for its well known properties: this flower contains essentail oils that are outstanding for its calming, wound-healing and antiseptic actions. Osmocide Extract: A glycerin gel that is very effective in soothing the skin when attracting moisture to the skin. Kaolin: Kaolin is known as china clay. Its origin is Southeast China. Kaolin is easily applied due to its texture being smooth. Its properties are oil-soluble, allowing the clay to quickly absorb surface oils. Apply a moderate amount of the mask with fingertips on a clean skin. After 10-15 minutes remove with water. 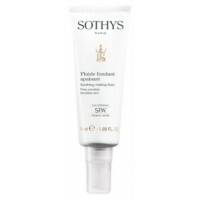 Follow with an appropriate Sothys lotion and cream.